How to Choose Safe Vape with Temperature Control Mods? 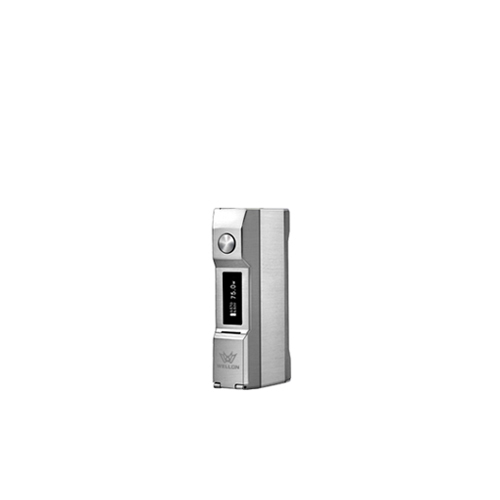 Why discuss Safe Vape with Temperature Control Mods? There are so many vape brands, all of them announce the best vape pen, or best vape device. And this confuse by most green hand vape users. 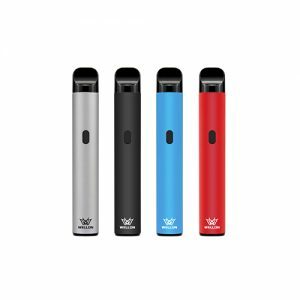 So, Wellon Vape Experts summary this series articles related to how to choose a safe vape. This post will discuss How to Choose Safe Vape with Temperature Control Mods. The problem is typified by the infamous New England Journal of Medicine formaldehyde study. This found that in extreme situations, some setups can release a lot of formaldehyde. The big issue with the study is that the settings used aren’t realistic. Nobody vapes like this because the taste quickly becomes really nasty. Other tests have demonstrated this clearly: vapers can taste “dry puffs” easily, and formaldehyde levels are low until this happens. While this specific example isn’t too much of a concern in ordinary situations, there is a general rule at play. In a nutshell, higher temperatures allow more chemical reactions to take place. This means nasty chemicals are more likely to form at high temperatures, whether it’s formaldehyde or acrolein. Temperature control mods solve this problem neatly. By limiting the maximum temperature the coil can reach, you can completely prevent your coil reaching the high temperatures it does during a dry puff. When the temperature of the coil reaches your chosen limit, the devices stop firing or reduce the power until the temperature drops. This can keep a lid on the formation of things like formaldehyde and acrolein. However, arguably the biggest benefit is for the future. When we have more studies of e-liquids and vapor, we’ll hopefully have a better idea of which chemicals form in substantial quantities at which coil temperatures. This means you could use temperature control to find an “ideal” vaping temperature for safety. The aim is to ensure enough nicotine and flavorings are vaporized to keep vaping enjoyable, but limit your temperature so that only minimal harmful by-products are created. End of this post, let discuss The function of vape Temperature Control Mods. Temperature control vaping is a perfect example of how improvements in technology can help reduce potential risks. By the way, if you want attempt some vape tricks, like vape ghost inhale trick, you have to choose Safe Vape with Temperature Control Mods. If you have any question about The function of vape Temperature Control Mods, please do not hesitate to ask wellon vape experts. How to choose good & safe Vape e-juice? Have Any Risk to Purchase a Cheap Mechanical Mod? How to Choose a Best Mechanical Mod? Do you know history of mechanical mod? How Does Advanced Vapors Choose a Best RDA? Previous PostHow to choose good & safe Vape e-juice? Next PostVape Glossary: What is RDA?